Are you looking for ways to make money online? There are a ton of ways, however, there are some jobs that require start-up costs. If you’re thinking, “I’m trying to make money, not spend it?” You’re in the right place because I’m going to show you How to Make Money Online Without Paying Anything. Thanks to the advancements in technology you can even make money from your phone! There are a ton of money-earning apps out there, you just need to know what to look for. I have vetted the companies in this list and will show you different ways to make money online without spending it! 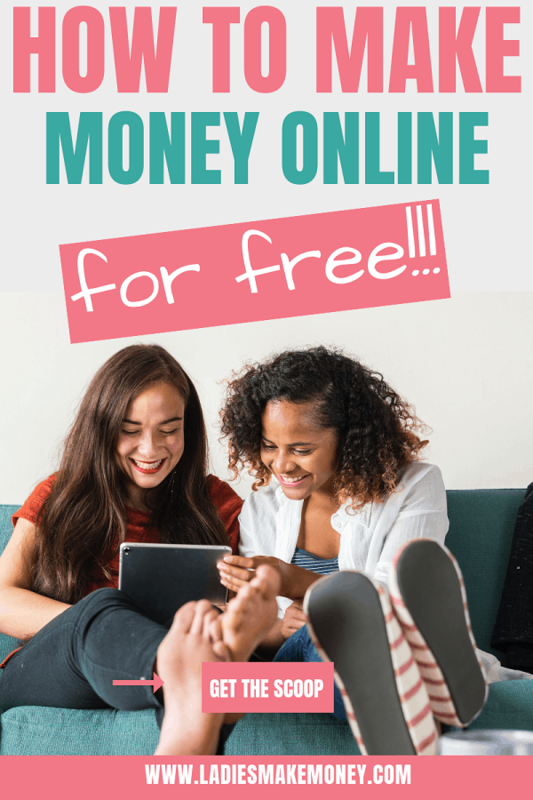 But before we get started on how to make money online without paying anything, we would love for you to join our growing Facebook group right here! Be sure to give us a quick follow on Instagram as well! If you are looking for other genius ways to make money on the side, we have plenty of ideas on this blog. Be sure to check back frequently. As we mentioned, all you need is internet access in order to make extra money online. Freelancing is one of the best business ideas because you’re your own boss! You work where you want, when you want, and the earning potential is limitless. And the other great thing about FREElancing is that it’s FREE to get started. I started my Freelance hustle by looking for opportunities on Upwork. Upwork is a site where they bring Freelancers and Small Business Owners together to connect. You can look at all their freelancing opportunities here. When I applied for a job on Upwork, I was hired in as a Project Coordinator for a woman who ran her own marketing agency. I charged $25 per hour and it was only for 5-10 hours a week which was perfect for my schedule. Making $500-$1000 a month was not bad for working only a couple hours a week. If you’re pitching for your first job, try to offer your services for free for one week to ease the client’s mind since you have no references or reviews yet. If the client likes you move on with the “paid service” the following week. That’s how I won my first job, and the client still paid me for my first week. If you enjoy writing and you’re good at it, you should start getting paid for it. This is one of the best ways to make money online without investment. How much you earn is really on you, I know a writer making over $200,000 a year. If you put in the time and work you can make a great income. Here are 7 Sure-Fire Ways to Finding Freelance Gigs that Pay Well. Are you well organized, tech savvy and have great communication skills? Would you like to get paid to help others achieve their goals? If so, you should consider becoming a Virtual Assistant. Virtual Assistants can make between $15-$50+ per hour! If you want to get started here’s how you can start a Virtual Assistant Business and Work from Home. Are you one of those people who cringe at misspelled words or incorrect grammar? If so, you may have the skills to be a proofreader. Caitlin Pyle of Proofread Anywhere made $43,000 in her first year, proofreading while working part-time and studying abroad. You can make $2,000 a month from home for just 3 hours a day teaching children in China learn English as a second language with VIPKID. The typical pay ranges from $14-$22 per hour for children 4-12 years old. VIPKID does require a Bachelor’s degree (in any field) and you must live in the US or Canada with at least one year of experience with children. Forbes ranked VIPKID as #1 of their “Top 100 Work from Home Companies”. You can make quick easy money by participating in research studies. Respondent and User Interviews are the only two companies I recommend with pay between $20-$400 per study. Another easy way to make money online without paying anything is taking surveys. Pro Tip: Open a separate email account solely for surveys. You’ll start to get inundated with emails and it will be easier to manage in a different account. I hope this list will inspire you to try new things and showed you how to make money online without spending a dime! Do you know of other ways to make money online that don’t require an investment that we don’t have listed? Let us know. Find more money making ideas here. 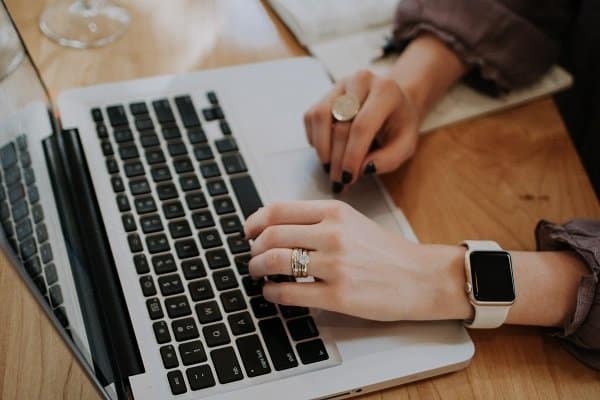 Max is a personal finance blogger at Tried and True Mom Jobs who writes about ways moms can have the best of both worlds; to make money and stay home and raise their kids in addition to ways to save money and invest. Hi, Money is an essential need of mankind if he wants to survive. Here is a new blog which provides some basic information about making money online. Please subscribe via email, rss or social media to get latest updates. This is a great resource. I am looking for freelancing gigs and have been searching for these survey sites where i can make some money! I am bookmarking this! Thanks for sharing. Thanks for the tips! Can’t wait to start using the sources you listed. Great tips. It’s always good to have a few back up plans for some extra cash! Love it! Just gotta get started! This is such a good read because it can be tricky to get started monetizing if you don’t know where to begin! 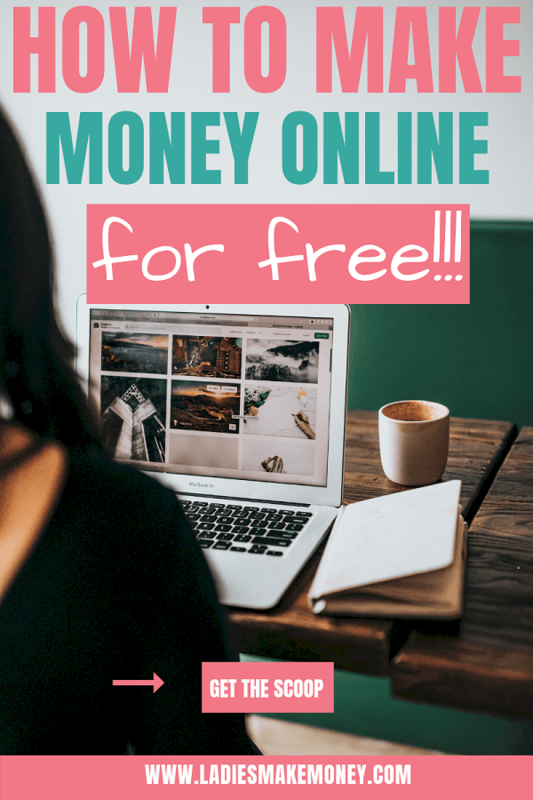 Amazing tips about how to make money online! This is a great list! Thank you for posting! Ooo! Love all of these!